When it comes to small business, Alibaba Group—the hugely popular Chinese e-commerce company—may not be the first business that springs to mind. 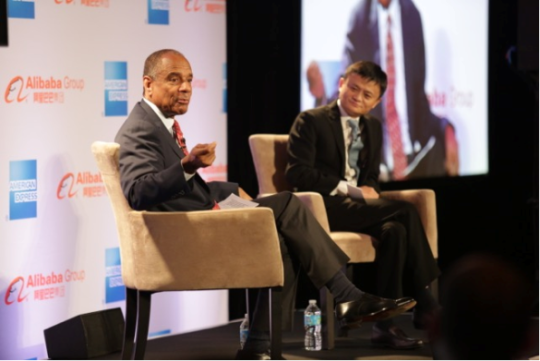 That is, until you hear its founder and executive chairman Jack Ma speak, as he did during a candid conversation with American Express chairman and chief executive officer Kenneth Chenault about supporting small businesses in America. Ma was in the U.S. on a mission: to encourage small businesses to use Alibaba’s platforms for selling their goods and services to a global audience. Alibaba’s Chinese retail websites, after all, have 350 million users, with over 100 million shoppers daily, according to Ma. During the conversation, both Ma and Chenault shared advice and words of wisdom for small-business owners. Here are the seven things every small-business owner—and prospective small-business owners—should know. 1. Rejection comes with benefits. When Ma graduated university, he applied to 30 different large companies—and no one would hire him. “After [being] rejected so many times I thought, 'Wow, maybe God wants me to do something for myself and not work for others.’“ He started a translation agency, earning $50 his first month. Years later, in 1999, he gathered 17 investors in his apartment, explaining to them his vision to use the Internet to help small-business owners sell goods and services. With $50,000, they started Alibaba. Last year, sales reached $390 billion. 2. Get your business global. 3. Don’t wait to innovate. 4. Learn from the failures of others. If you’re just in the business for money, you’re going about it wrong. Ma and Chenault both emphasized the need for passion in what you do, and agreed that that fervor is a hallmark of successful small-business owners. “Small-business owners have passion and they have courage and they have the willingness to strike out on their own,” said Chenault. 7. Help build strong leaders.